Winter is the best time to gorge on healthy green, leafy vegetables. A generous portion of green veggies in your daily diet can benefit your body and health in numerous ways. Winter is the best time to enjoy leafy, green vegetables as they are fresh and can be consumed in a variety of ways. Add them to salads, have a green smoothie, make a gravy or simply stuff them in your sandwich. Whatever you choose, make sure you eat them. Here are seven reasons to include more green, leafy vegetables in your diet. They improve eye health: Remember Popeye wearing glasses? You don’t, because he never had to! Leafy greens like spinach and kale contain essential carotenoids called luetin and zeaxanthin. These are vital constituents of the human eye which act as protective shields for the macula and prevent damage by blue light. They are also known to prevent eye problems like cataract and macular degeneration caused due to ageing. The human body converts beta-carotene present in leafy vegetables to vitamin A which reduces risk of night blindness. Also read these expert tips for healthy eyes. They boost bone strength: With age, our bones tend to become weaker. Women particularly become more susceptible to conditions like osteoporosis or endocrine bone disease. A number of factors such as diet, lifestyle habits and genetics can affect your bone health. Consuming a diet rich in green ,leafy veggies is thus essential for improving bone strength. Green vegetables are a rich source of calcium which supports the bones, keeping them dense and healthy. They also contain high amounts of vitamin K that is essential for the production of osteocalcin, a protein essential for improving bone density. They prevent cancer: A number of global studies have revealed the impact a diet rich in leafy, green vegetables can have towards warding off cancer. They contain many antioxidants, carotenoids and flavonoids that help the body fight cancer of the stomach, colon, skin and breast. Regular consumption of vegetables like broccoli, brussels sprouts and cabbage boost the body with cancer-fighting compounds like indoles, sulforaphane and isothiocyanates. They improve metabolism: Any guesses about the perfect foods to supplement your weight loss plan? That’s right – the nutritive green vegetables! Being high in fibre and iron, leafy greens improve metabolic activity by helping the red blood cells transport required nutrients throughout the body. They are also very low in calories and packed with many essential vitamins and minerals. Here are 13 ways to boost metabolism and lose weight. They increase chances of conception: Vegetables like kale, broccoli, spinach and cabbage are an excellent source of folic acid which is known to improve ovulation and prevent birth defects. 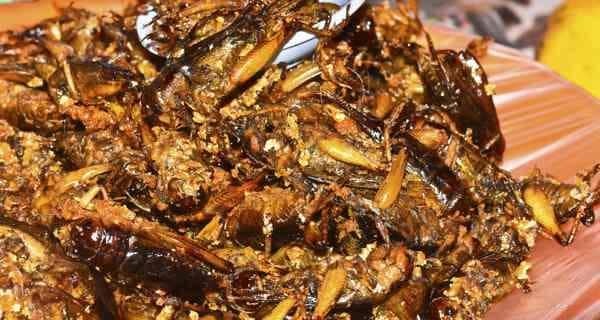 They are also rich in iron which helps prevent anemia. Anemia leads to a deficiency of red blood cells causing a hindrance in pregnancy. Read 5 reasons you are not getting pregnant. 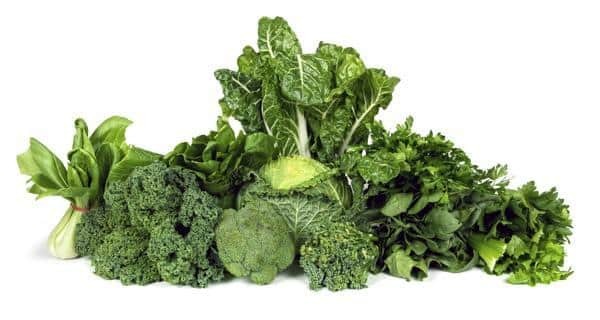 They improve brain function: Dark green vegetables are known to prevent age-related cognitive decline owing to their high folate (vitamin B9) content. Vitamin B also helps improve concentration and overall brain function. Green veggies are loaded with antioxidants and carotenoids which act like brain protectors and prevent damage from free radicals. Therefore, the next time you find yourself struggling to remember something, make sure to stock up on the leafy greens. They are energy boosters: Do you find yourself fatigued and low on energy most of the time? Chances are, your diet lacks the required dose of leafy greens. Low levels of iron in the body can result in of lack of energy. Leafy greens like kale, broccoli and spinach are excellent sources of iron. They are also rich in vitamin C which in addition to boosting your energy levels can also heighten immunity. Also try these 10 instant energy boosters.